The change that e-sport is going through and the ever-ascending trajectory of e-sport has led to certain states to regulate this mode of entertainment. States like South Korea and China have taken one-step further and recognised e-sport as sport. This article deals with the question of recognition of e-sport by the European Union as sport. In that, characteristics of e-sport vis-à-vis mainstream sports will be analysed alongside the relevant case law of the Court of Justice of the European Union. 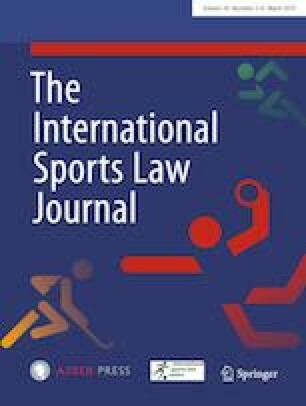 The physical element and social function of sport which have come to the forefront in case law and academic debates are relevant to the question of e-sport’s status as a sport. Moving on from that premise, the article will conclude that while e-sport may satisfy the physical element in certain play modes, its currently weak social function would render it as just an economic activity in the eyes of the European Union. Nevertheless, particularities of e-sport due to its virtual element, intellectual property-based means of production and diversified means of playing should be taken into account when the time comes for a definite judgement on e-sport’s status as sport. This article is a revised and expanded version of the paper titled ‘Esports and the EU: A Hypothetical Future Collision’ that was submitted at the ‘Sport & EU 13th Annual Conference’.